Named after a little boy whose brief life inspired a community, Jake's Playground is a destination playground that is designed for all children, particularly those with disabilities. The features of this playground surpass typical ADA standards and enable children with a wide variety of abilities to engage in play. Additionally, adults with disabilities have the opportunity to play alongside their children. Many caregivers are unable to take children to a typical playground because they are unable to access the structure should their child need them. Mulch, pea gravel and stairs equate to barriers for anyone with difficulty walking on soft, unstable surfaces or who are confined to a wheelchair. This playground features a safe, spongy surfacing that ensures mobility for all. Jake's Playground includes a variety of sports-themed structures that are completely accessible to children of all abilities. 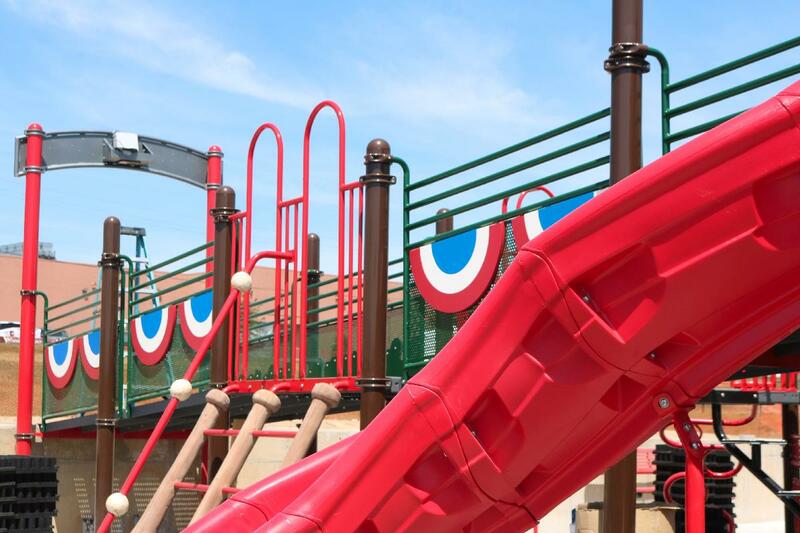 This includes ramping systems from the bottom to the very top of every play element! 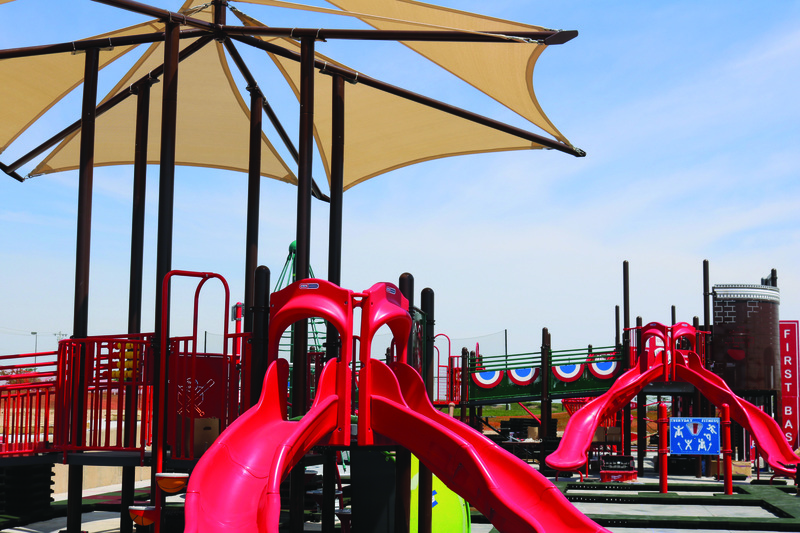 In addition, transfer stations, specialized seating, hand-holds and slanted climbing systems are also a part of this all-inclusive playground. Jake's Field of Dreams provides a place where all children can interact with one another, regardless of their ability.